Newly retired senior nurse lecturer Keith Booles reviews Becoming a Reflective Practitioner. Reflection is now high on the agenda of every practising nurse and midwife as it is a crucial aspect of the revalidation process, introduced last year by the Nursing and Midwifery Council. 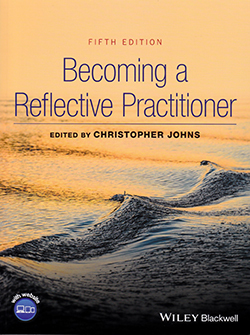 This book guides the reader through what reflection is and why the process is an important element of care for practitioners and patients. It explains the important role that reflection plays in clinical practice, enabling the reader to become a better reflective practitioner. The book is a useful resource when read from chapter to chapter, but it can also be dipped into easily for guidance on specific points, enabling the reader to reflect on their clinical practice. It also includes examples of reflection in practice, which allows the reader to see how the reflective process works. While it may seem to be yet another book in the expanding area of reflection in nursing practice, this one differs from many others because it links to clinical practice and the real world of care, with the aim of improving care and management for clients and patients. I would recommend this useful book to all healthcare practitioners. It would be helpful and relevant to nurses and midwives, whatever their clinical setting.